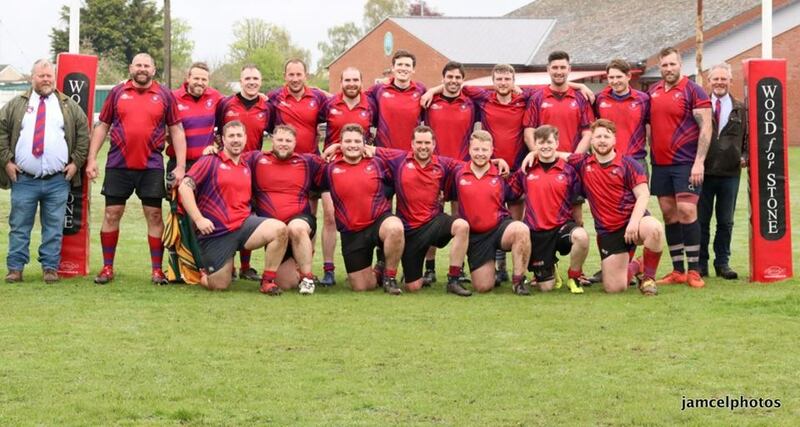 Buoyed by an emphatic pre-season win against Colchester 4ths/5ths, Mistley made the long journey to Haverhill hopeful of another victory, this time in the quarter-finals of the Suffolk Plate. Early signs boded well; almost immediately Angus Bissett broke off the back of a maul and charged down the blindside wing like a rampaging rhinoceros deep into opposition territory. Play continued in this vain for the next twenty minutes; our forwards carrying well in the tight, Tam and Maz - a welcome return for our Fijian duo - wreaking havoc in Haverhill’s midfield defence, resulting in quick ball for the backs whose pace brought Mistley close to breaching the try-line on several occasions. However, the deep forays into the opposition’s territory ultimately proved fruitless; a failure to convert pressure into points. Despite this, Mistley’s defence remained staunch for the most part, our line speed often flustering their fly-half and closing down any potential territory for their dangerous outside centre to exploit. On the few occasions Haverhill did get the ball out wide, the cover defence was good; part-time winger and full-time ladies man, Ant Wares, making a couple of excellent tackles to make the women on the touch-line swoon. Gradually though, Haverhill fought their way back into the match with strong set pieces and good link play from both their forwards and backs. An injury to Mistley captain, fly-half Matty Course, also forced a reshuffle in the backs, which meant we lost some structure both in attack and defence. Just as half-time loomed, Mistley conceded a penalty close to the posts; Haverhill’s outside centre converting to make the score 3-0 and leaving Mistley to rue their missed opportunities. However, almost immediately from the re-start, Mistley were on the scoreboard - Maz breaking a couple of tackles before offloading to Tam, who sprinted clear of the opposition for fifty metres to score. Although Mistley were now in the ascendancy, the score remained 3-5 for the next fifteen minutes, continuing the tense encounter. This was until a botched Haverhill attack resulted in an opportunistic punt and chase upfield by Suss - showing that there’s still legs left in the old dog yet - who then shackled the lone covering defender. Without any support, the player was easily over-turned and the ball was quickly recycled for Farmer Barrie to go over from close range. After this, the floodgates opened for Mistley. A quick tap penalty from Gary Booker close to Haverhill’s try-line saw him crash over the whitewash before their defence had time to set up. It was also during this period of sustained pressure that Mistley’s defence went up a gear; Matt Course - back from injury - and big Charlie Barrett, fuelled by his pre-match snack of sausages and mash, putting in some crunching tackles. Shortly thereafter, another quick tap penalty- this time from Mistley’s own twenty-two - saw Tam making twenty metres whilst breaking a couple of tackles, offloading to Chowndog, who then craftily fixed the last defender (if I do say so, myself) before passing to Ali Taylor on the right wing, who outpaced the cover defence to score. A now dejected Haverhill team suffered further ignominy, when, soon after, Taylor danced past several defenders before sprinting fifty metres down the touch-line, and then passing inside for the supporting Fred Barrett to canter the last ten metres to score. The conversion from Course sailed wide, calling time on the match. (As a side-note, a change.org petition has now been motioned to get Strattz - Mistley’s finest ever tight-head prop, who also has an uncanny ability to nail conversions - to take over full-time kicking duties from Matt in the future). Thanks must go to Haverhill for providing us with a hard fought match and for preparing an excellent playing surface. Mistley’s Man of the Match goes to Ali Taylor for his mesmeric evasive skills and scintillating pace. However, every Mistley player should be applauded for putting forth the effort and application needed to win this match. We will now go on to play Mildenhall and Red Lodge away in the semi-final on Saturday 13th October. This coming Saturday we begin league action in earnest; the 1sts play Hadleigh 2nds at home, whilst the Marauders take on Ipswich 3rds away. Vive le Mistley (or whatever it is in French). PS. Sanjeef the Swan, Mistley’s new mascot and post-match beer receptacle, approves this match report.